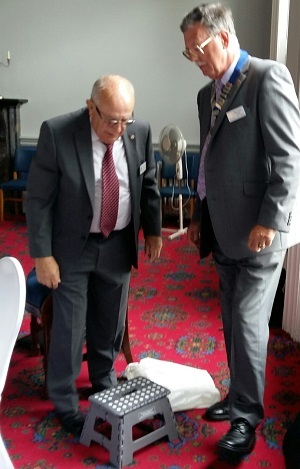 President Bill Lee about to become IPP and Malcolm Webb waits to assume the position of President of the Rotary Club of Lincoln. 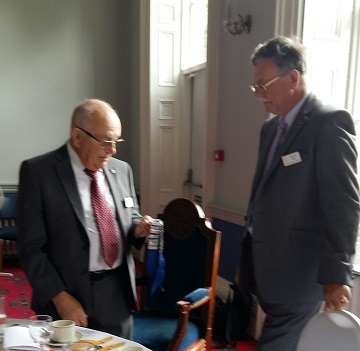 Now IPP Bill Lee, whose reputation has grown even if he hasn´t resolves the problem of how to pass the President´ jewel to Malcolm. 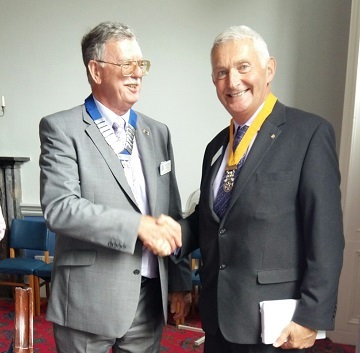 Malcolm passes the President Elect´s jewel to John Cawdell.